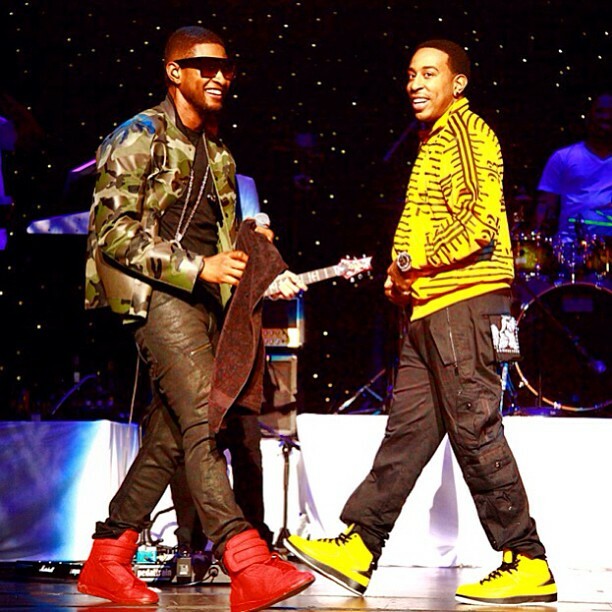 Jermaine Dupri played a very important role in Usher's career, and the R&B vet paid homage to his mentor and producer as he joined JD on stage at the So So Def Reunion for over 20 minutes. To make things better for the sold out crowd, Ludacris and Lil Jon performed "Lovers & Friends," "Yeah," and "Welcome 2 Atlanta." DJ Scream ft. Future, Wale & Ludacris - "Cee-Lo"
[Music Video] Janelle Monae ft. Miguel - "Primetime"
SZA ft. Ab-Soul - "Ice.Moon Revisited"
To find out more about DJ Hourglass, follow her on Twitter, Facebook, and MixCloud. For submissions, e-mail her at DJHourglass@gangstasuseemoticons.com. Big K.R.I.T. ft. Bun B - "Shine On"
Frank Ocean - "Eyes Like Sky"
Bonobo ft. Erykah Badu - "Heaven For The Sinner"
Juicy J ft. The Weeknd - "One Of Those Nights"
[Music Video] Miguel - "Candles In The Sun"
Bun B & Big K.R.I.T. - "Check The Sign"
Skyzoo - "Floor Seats With Young"
[Music Video] STS - "The Heavy"
[Music Video] Kris Kasanova - "Mosh Pit"
The-Dream ft. Fabolous - "Slow It Down"
J. Cole ft. Miguel - "Power Trip"
[Music Video] Rihanna ft. Mikky Ekko - "Stay"
[Music Video] Big K.R.I.T. - "Rich Dad Poor Dad"
[Music Video] Masspike Miles - "I Got It"
[Music Video] Drake - "Started From The Bottom"
[Music Video] Pusha T ft. Rick Ross - "Millions"
[New Mixtape] Kilo Kish - "K+"
AraabMuzik - "The Prince Is Coming"
BJ The Chicago Kid - "Honey"
Skyzoo - "Grew Up On Kool-Aid"
Casey Veggies ft. Rockie Fresh - "Energy"
Maejor Ali ft. Justin Bieber & Juicy J - "Lolly"
Jon Connor - "Tour Life"
The MIDI Mafia ft. Rockie Fresh - "Back Down"
Stacy Barthe ft. Rick Ross - "Hell Yeah"
© 2013 G's Use Emoticons | Logo by Domyno FX Graphics. Background photo: Neka Razzi. Simple theme. Powered by Blogger.